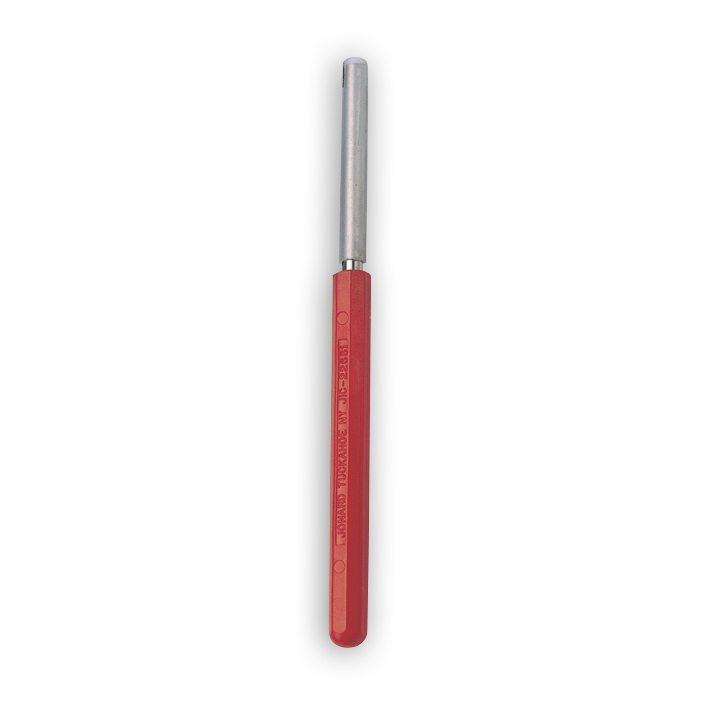 - This two sided wire wrapping and unwrapping tool is intended to be two tools in one. It is designed to produce perfect wire wrapping connections. - Precision, long-lasting tools for use where occasional wire wraps are required or where power wire-wrapping tools are not practical. Compact and convenient. - To switch from wire wrapping to unwrapping takes only seconds - just a quick change of the cap from one end to the other. Specifically designed for DSL (Digital Subscriber Line) connections. The wrapping side is designed for 24-26 AWG wire, and the unwrap side is designed for 20-26 AWG wire. 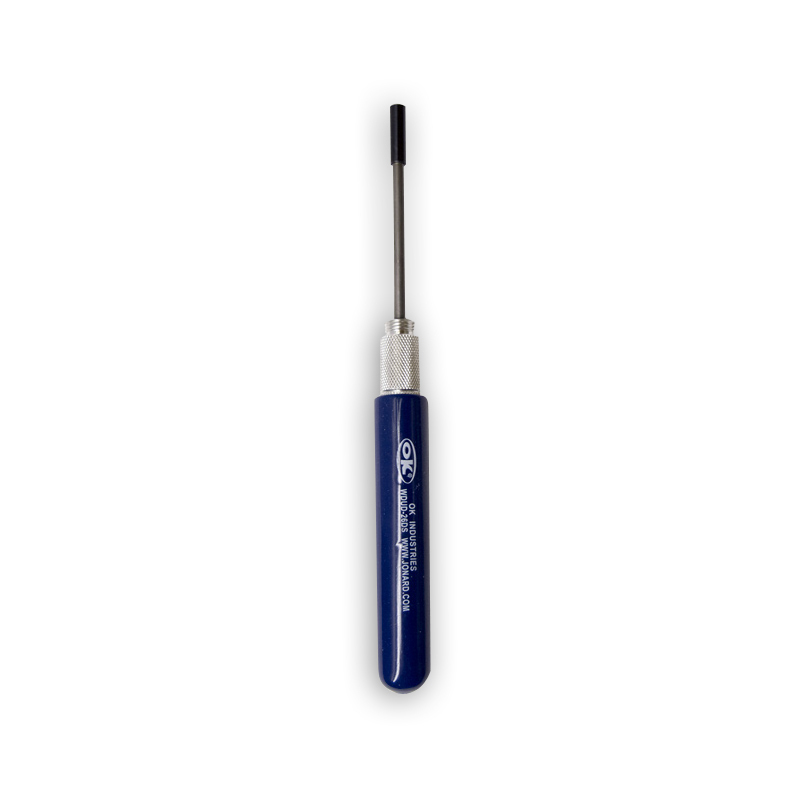 Comes with an insulated handle for dielectric protection. 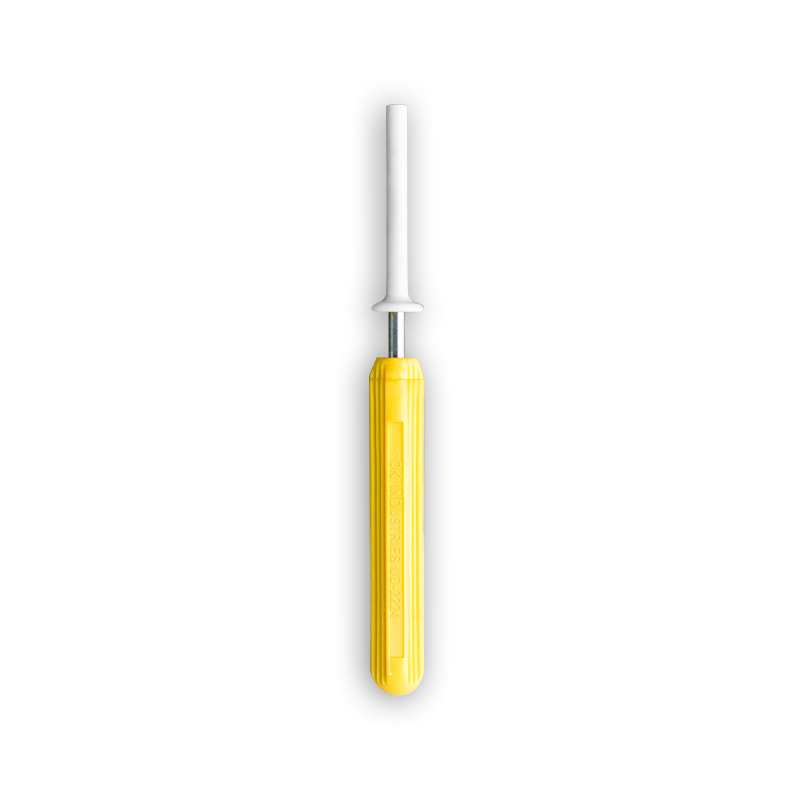 - Wrapping Terminal Hole Dia: 0.75"
- Wrapping Terminal Hole Depth: 0.750"
- Unwrapping Terminal Hole Dia: 0.070"
- Unwrapping Hole Depth: 1"
Wire wrapping tools has a handle and shell, covered with a sleeve of insulating material. 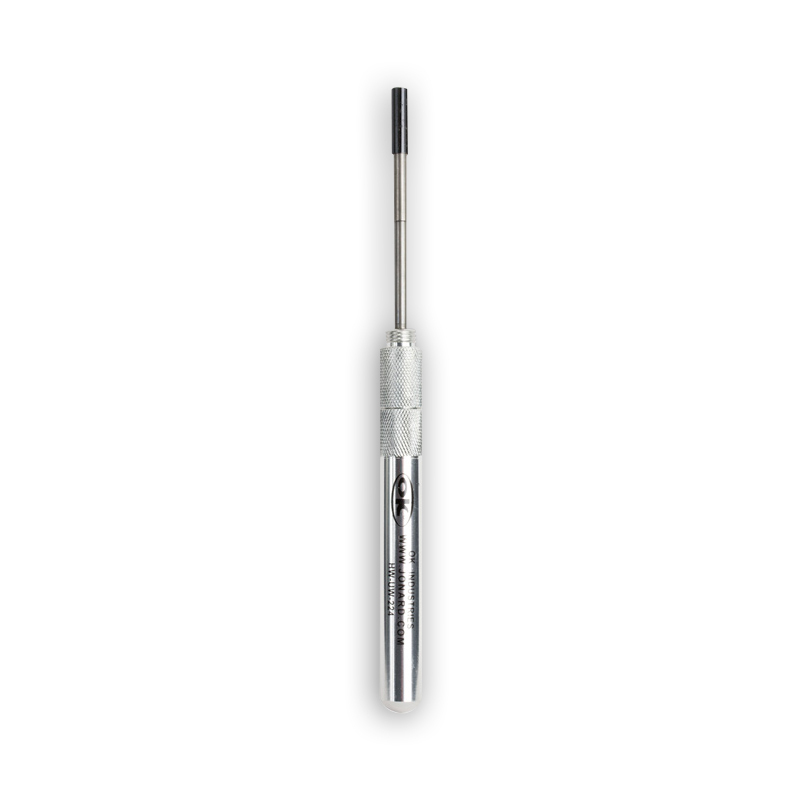 With a 0.73" diameter x 0.750" deep hole to accommodate a terminal. 5" long. 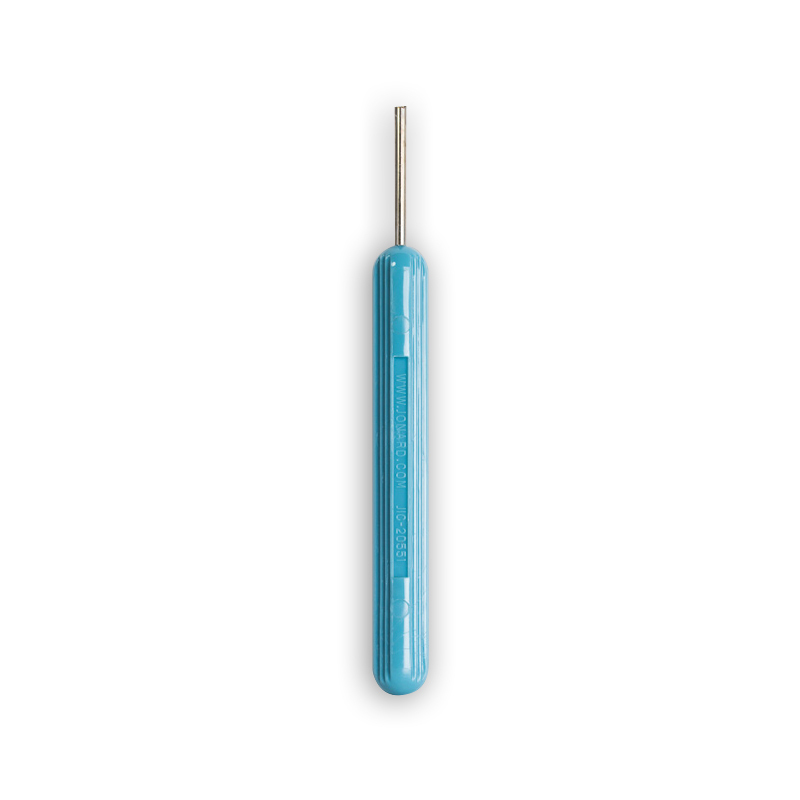 This manual wire unwrapping tool consists of a threaded steel bit and blue plastic handle. A terminal hole is provided to accommodate terminals with cross-section dimensions up to 0.032 x 0.0622 inches. 5" long. 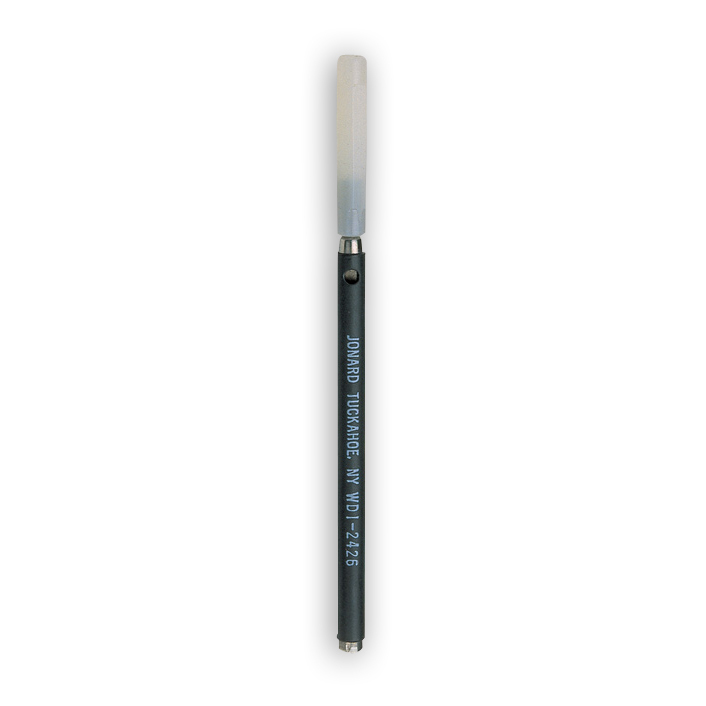 This versatile unwrapping tool with a funnel-shaped spring loaded sleeve. 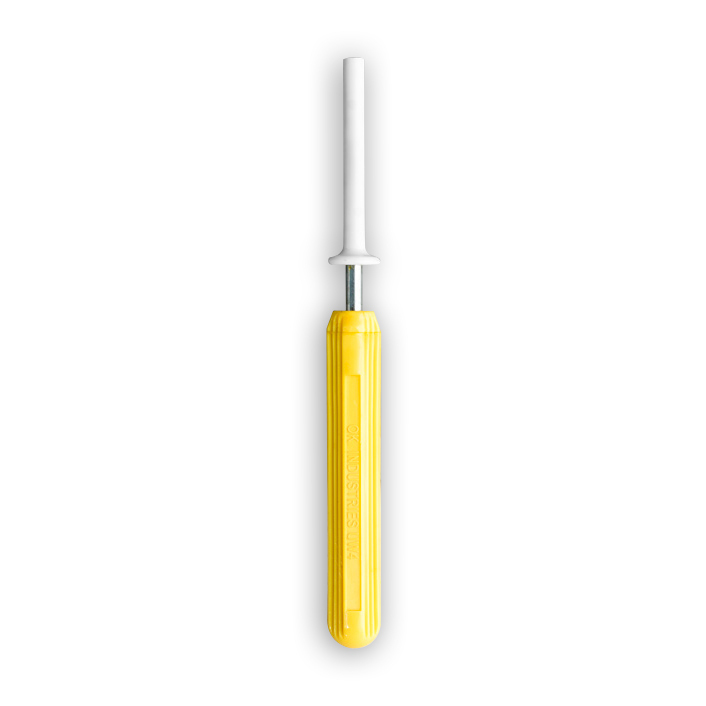 This is a single ended insulated tool with a yellow plastic handle used for 20-26 gauge wire. 5 1/2" long. These wire unwrapping tools are used to remove wire connections made with 20 thru 32 gauge wire.